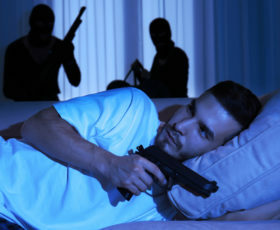 Situational Awareness: Learning how to be aware in your surroundings. We’ll teach you how to assess your surroundings, from new places to familiar ones, so you can begin to instinctively spot hidden dangers. Body Language: Criminals like easy targets; we’ll go over how strong body language signals like posture and eye contact can help in deterring an attacker. Fighting Back: If you find yourself in a situation where you need to fight back, we’ll teach you how to defend yourself while standing, on the ground and with weapons. Handgun Retention: You’ll leave the course able to defend your weapon, fight for position, and do maximum damage with each opportunity. 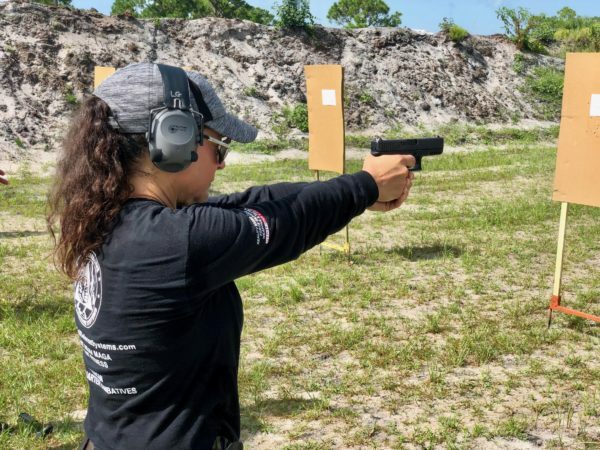 The application of these rules combined with the hands-on technique training will give you the full range of skills to defend yourself if necessary. Gear Placement and Firearms Safety: Whether you own and are familiar with your handgun or not, there may come a time when you find yourself needing to know how to handle one safely. We’ll instruct you in firearms safety so the next time you hold a handgun it is with confidence! 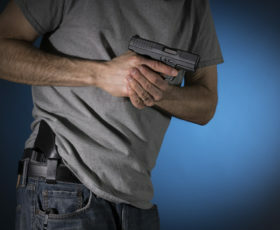 If you own a handgun, where do you carry it and how accessible is it in an emergency? We’ll identify the most effective ways to carry your firearm and touch on techniques to make getting it out when needed a smoother process. Building Firearm Confidence: If a situation escalates, you may need to use a firearm to save your life. In addition to the basic fundamentals we’ll provide the guidance and practice needed to be confident in your shot. From loading techniques to shooting at various distances, we’ll go over the eight fundamentals you need to know how to be proficient. After a few tries, some of the shots will become easy on the range, but in a real-life situation you likely won’t have time to set up and get comfortable. We’ll train you how to draw your weapon from its concealed position and practice your aim so you can get the shot even under duress. **No Live Ammunition or Firearms of any kind permitted on the premises of Riddle Defense Training Facility! Sunday, May 19: Start Time 8 AM (transportation departing Riddle Defense Training Facility for Okeechobee Shooting Sports). Riddle Defense will be providing a courtesy van to transport you and your gear to and from Okeechobee Shooting Sports. Don’t own your own firearm… Riddle Defense along with Century Arms will provide you with one. Don’t let not having a firearm or any shooting experience deter you; at Riddle Defense learning is key!! What to Wear: ball cap, long sleeved crew neck t-shirt, long pants with belt that will fit your holster and magazine pouches, closed toe shoes. Workshop is open to all women. No prior experience necessary. Seats are limited! Cancellation Policy: Upon Sign-Up – your payment is non-refundable. If you must cancel, you may apply the cost of the course to any other upcoming class within the calendar year. There is a late cancel fee for this course of $75 per person (1 week or less prior to the course date).